305 is a state of mind. I'll tell you what you do. You tell your boss you found an iguana in your plumbing and swerve right over to the marina exit, because muchacha, you're about to spend eight hours in the middle of the ocean with some very rich, very drunk Latinfluencers and a lot of pink bebida. 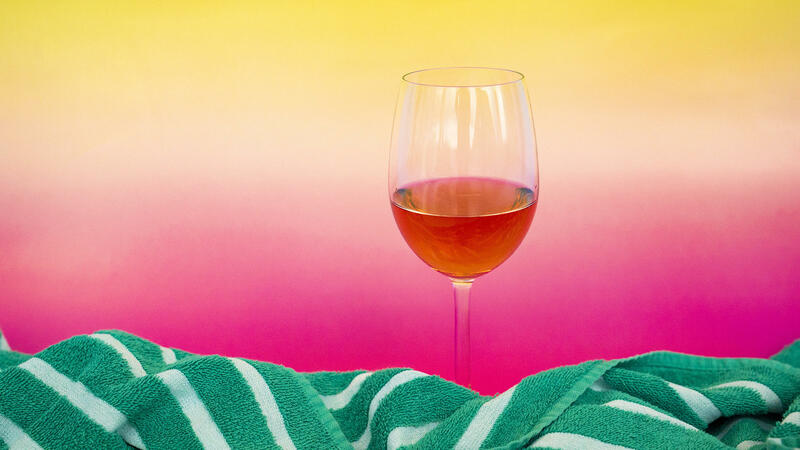 You don't need to live in a tropical locale to feel easy, breezy and boozy. Take a look at every deep-in-the-suburbs "I live where you vacation!" Instagram story of someone's grandmother's golf course and you'll see what I mean. Or Pitbull. Or Drake. 305 is a state of mind. Hop on that onda rosé. You deserve luxury. You deserve to stunt like J Balvin. You deserve the right to be just a little obnoxious. Island Escape is all about finding the piña colada in your pine trees, the Hamptons in your Hempstead. Live your best best-friend's-yacht life to Gente de Zona's and Marc Anthony's "La Gozadera," a pan-Latino solidarity salsa that heralds Miami as its headquarters. Take it back to sixth-grade Catholic school dances and nervous nuns with classic perreo jams like Calle 13's "Atrévete-Te-Te" and, of course, Daddy Yankee's "Gasolina." Sing "como tú te llaamaaaas yoooo no sé" in exasperation when Nicky Jam's "Hasta El Amanecer" plays for the seventh time without fail since no one thought to download more than 26 songs to their phone. Knock back another glass of Moet to DeJ Loaf's "Miami" as you watch your friend Sofi help Juanchi draft a caption about how he's siempre keeping it real [prayer hands]. Find it within you to go to LIV after this to Swedish House Mafia's "Miami 2 Ibiza," a song you only like ironically, guys. And Uber home to Baby Bash's "Suga Suga" as the sun sets purple among the palms. From the very first word, "Miami" is mentioned 30 times on this playlist. We did that. For you.